You can easily import your blog content from other blogging platforms or from another Edublogs.org blog into an Edublogs.org or CampusPress blog using Tools > Import in your blog dashboard. This imports all pages, posts, comments, files. You will need to manually set up your blog theme and widgets. 2. Go to Comments and permanently delete any unnecessary comments such as spam comments. High numbers of spam comments can make the export file too large and you shouldn’t import spam comments into a new blog. This is necessary on both the original blog and the new blog otherwise the import won’t work. You can switch back to a private setting once the import is complete. 5. Go to Tools > Export. 6. 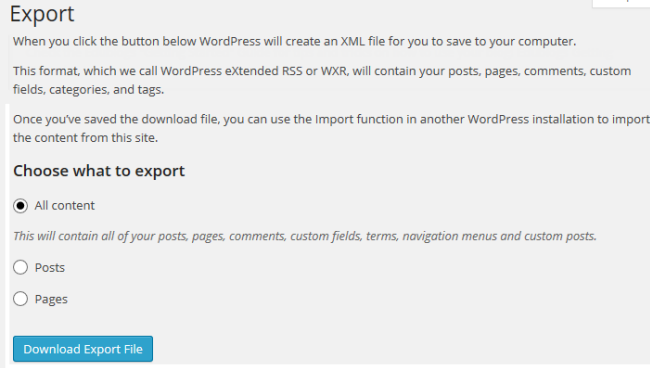 Click on Download Export file and save the XML (WXR) file onto your computer. Make sure you select All Content. 7. Log into your new blog dashboard. 8. Go to Users > Add New and add all users that published posts on the original blog as a user to the new blog. 10. Change privacy to “Discourage search engines from indexing this site” if the blog is using a private blog option. 11. Click on Tools > Import. 13. Click on Browse and browse to locate the Export file you saved on your computer. 14. Click on Upload file and import. 15. Assign all posts to existing users. 16. Select ‘Download and import the file attachments‘ and then click Submit. 17. A progress bar will appear will your blog is importing. 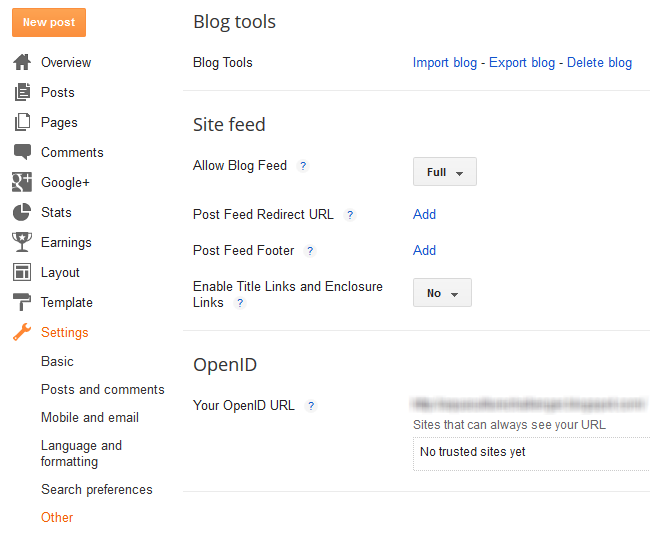 You can import links from other blogs or systems into your Edublogs blogroll via Tools > Import. 2. Click Blogroll on the Import screen. 3. Specific your OPML URL or upload your OPML file from your computer. 4. Click the Import OPML File button. 5. Log into your new blog dashboard. 12. Click on Browse and browse to locate the Export file you saved on your hard drive. 14. 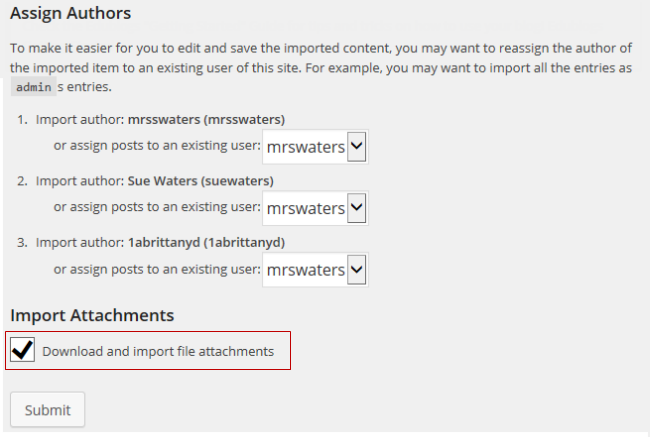 Select if you want to assign the posts to an existing user on the blog or import the autthor then click Submit.